ARE YOU BEING PAID WHAT YOU ARE WORTH?? Premiere Podiatry Group Practice is now seeking EXPERIENCED employees to join our exceptional staff and doctors. 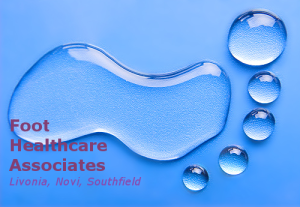 Seeking a Part-time or full-time, EXPERIENCED Podiatric Front Desk Person for a group Podiatry offices based out of Livonia, MI (work also may be required in Novi and Southfield). Position will require candidate to demonstrate excellent working habits and knowledge of basic industry standards. Hours will vary Monday through Friday with occasional Saturdays. Must be responsible, motivated, and have reliable transportation to Novi, Livonia and Southfield. *EMR system knowledge preferred; Athena EMR systems experience a plus. *Must be able to work with limited supervision. *Candidate preferred to have flexibility to work extended hours if needed. Email your cover letter and resume in Word or PDF format only.